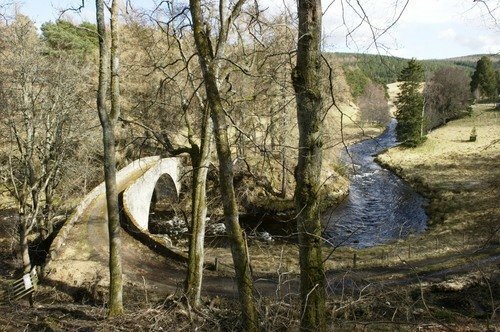 Strathdon is rich in scenic beauty and places of interest with marvellous opportunities to observe wildlife. There are small communities scattered throughout. Every year, on the fourth Saturday of August, the ‘Clansmen of the Lonach Highlanders’ can be seen marching through the village of Bellabeg for the Lonach Gathering, a unique and friendly Highland Games. The Doune of Invernochty is an earthwork castle dating from around 800AD. It is a moated motte and was a stronghold of the Mormaer of Mar and is sometimes described as the 'Citadel of Mar'. Perfect for family or group gatherings, walking, wildlife watching, stalking or fishing parties. With fishing on our own beat of the Don, permits, courses and tuition can be arranged here or on other local rivers. The lodge also has a fabulous billiards room, open fires and wood burning stove in the snug. Catering is available with prior booking.